Herbal Essences Passion Flower & Rice Milk Shampoo and Conditioner with bio:renew help bring hair back to life in just 21 days. They’re crafted with bio:renew, a signature blend of essential antioxidants, aloe and sea kelp, designed to help purify and protect against impurities. Your hair will truly get softer and more free·flowing because the bio:renew formula continues to work with each wash. Plus, you’ll notice your hair shining brighter and looking smoother. From the first pop of the cap, our Passion Flower & Rice Milk Conditioner will take you on a bright multi·layered scent experience. Immerse yourself in the scent of juicy citrus followed by delicious passion fruit and creamy orange blossom. 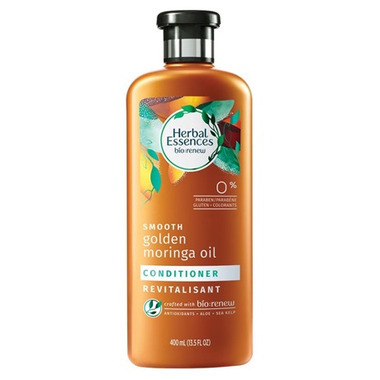 Simply apply conditioner to wet hair, massage into a creamy lather, get lost in the scent, and rinse. For even more stunning hair, use alongside Passion Flower & Rice Milk Shampoo with bio:renew.